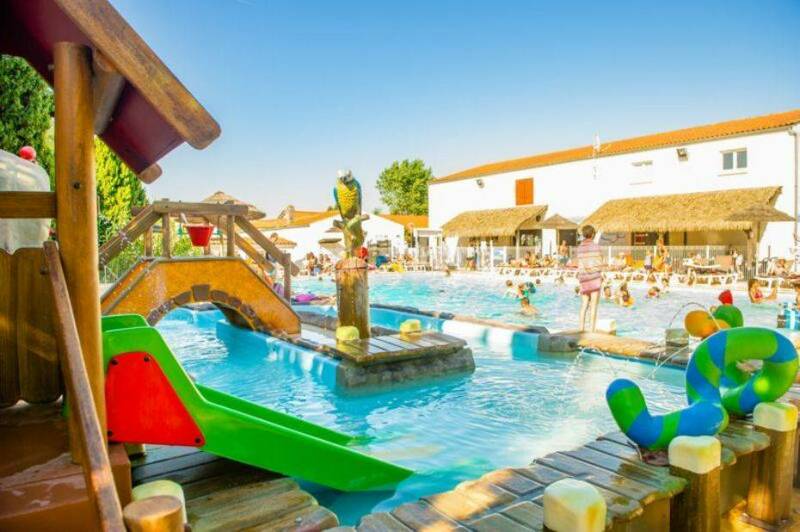 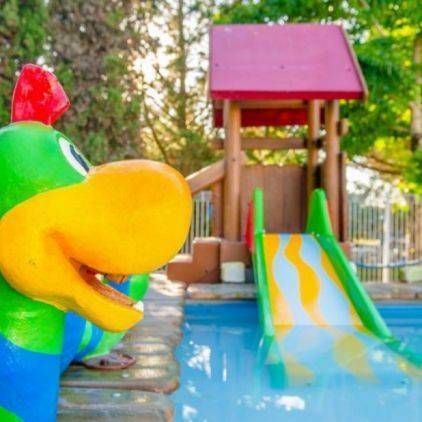 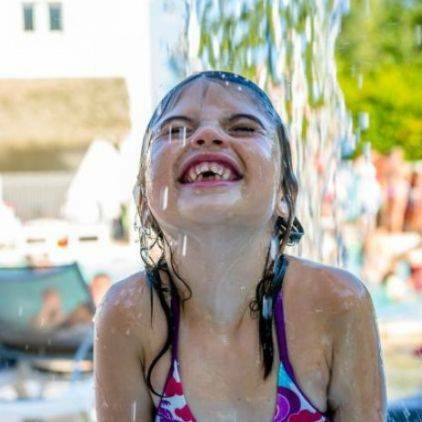 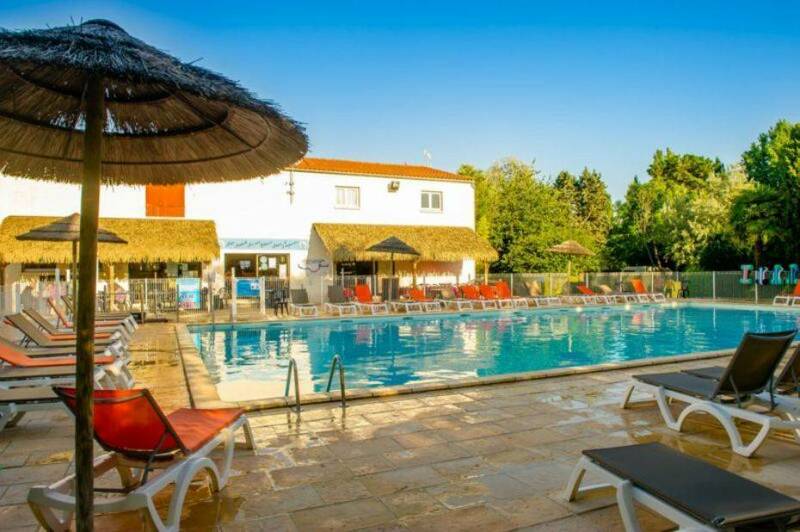 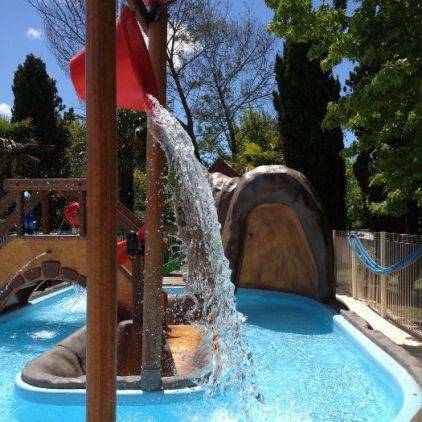 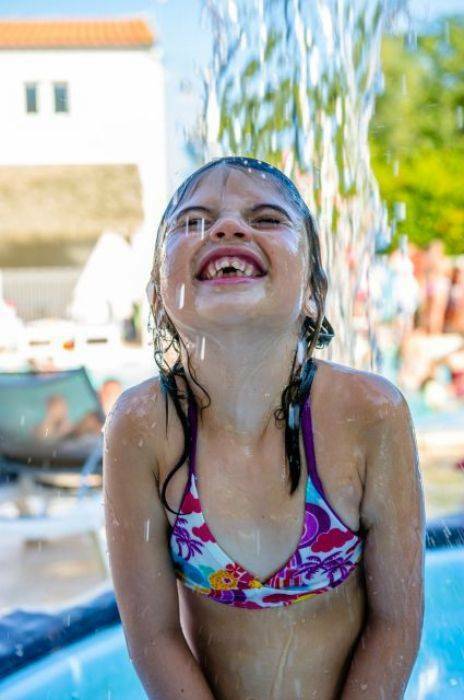 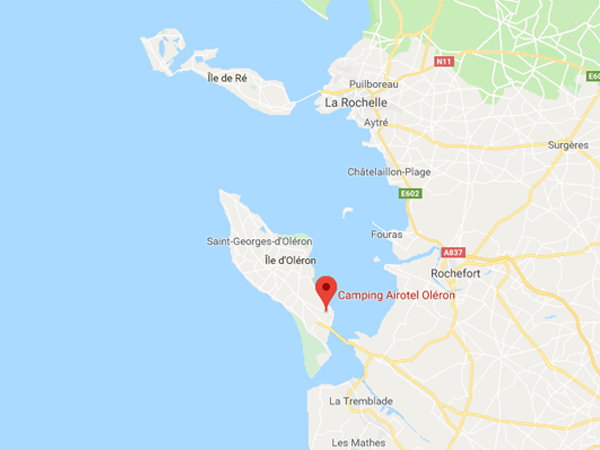 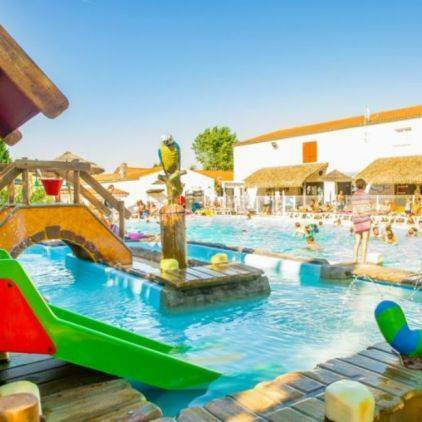 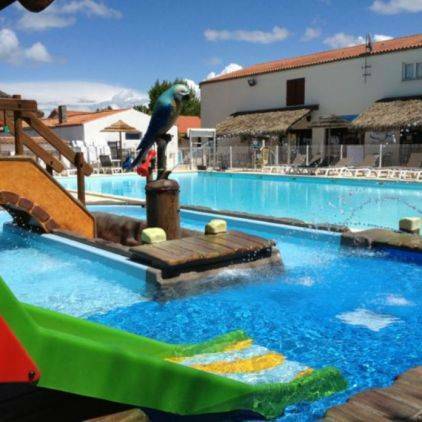 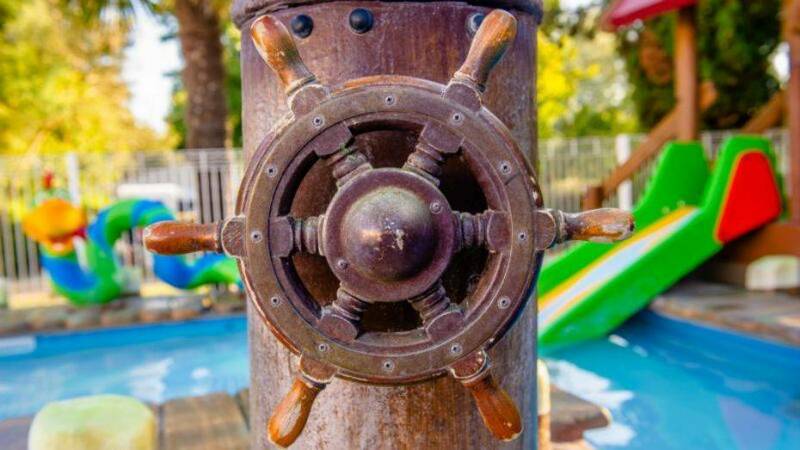 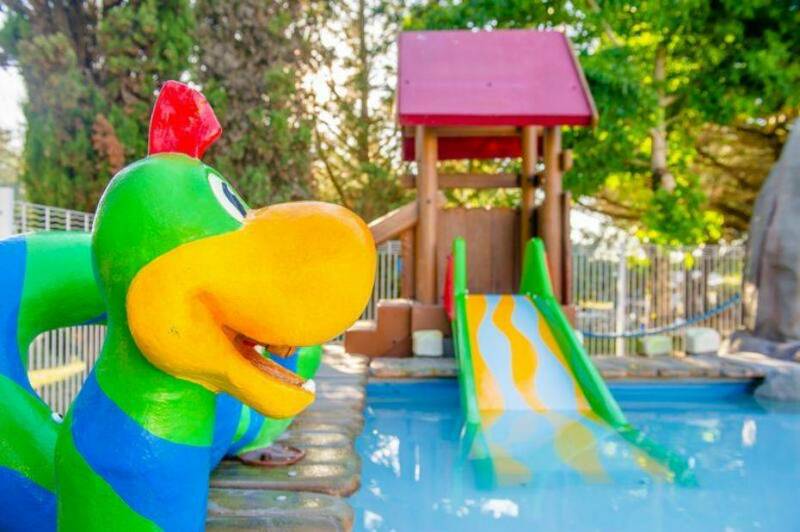 Enjoy a wonderful stay in a campsite in Oléron with a water park, heated swimming pool, playful river for children and water activities for the whole family! 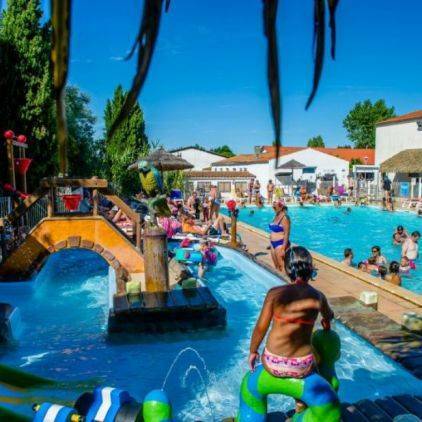 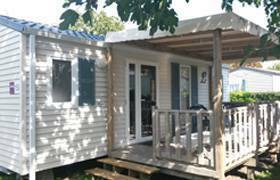 Close to the city centre of Château d'Oléron and the beach, you will enjoy a unique setting to enjoy the pleasures of water in a relaxed and family atmosphere on the island of Oléron! 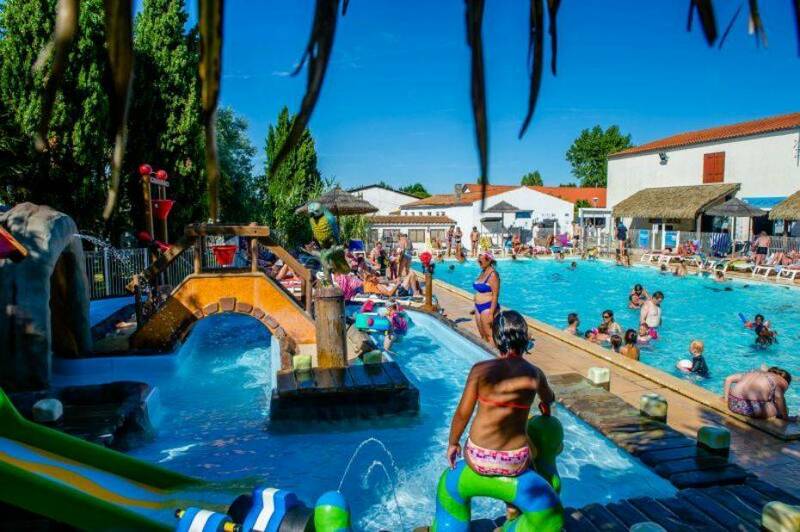 On the day of your arrival at the campsite, it is at the reception that you will collect your access bracelets to the pool. 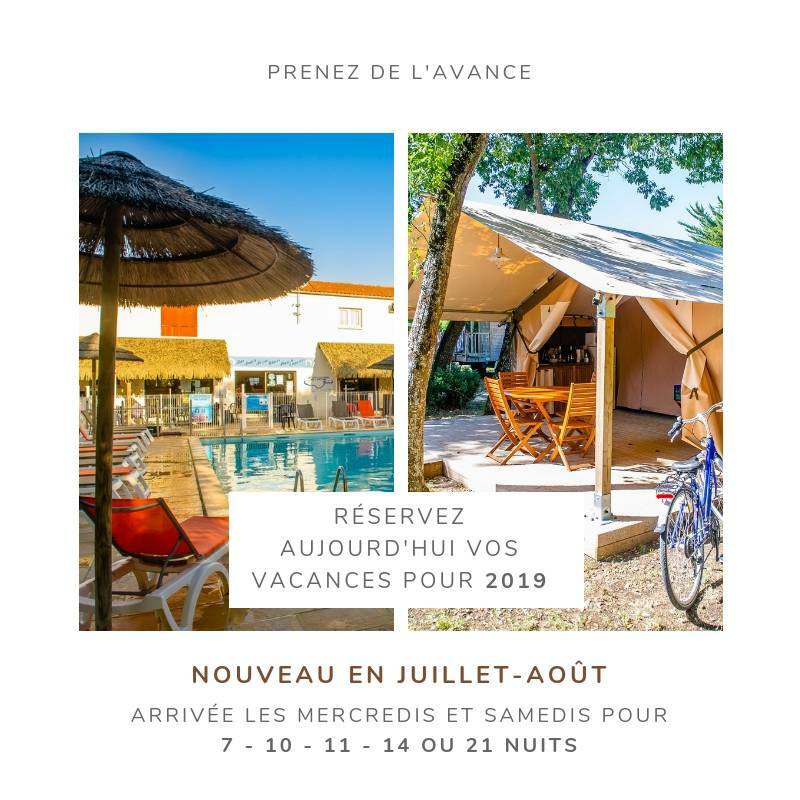 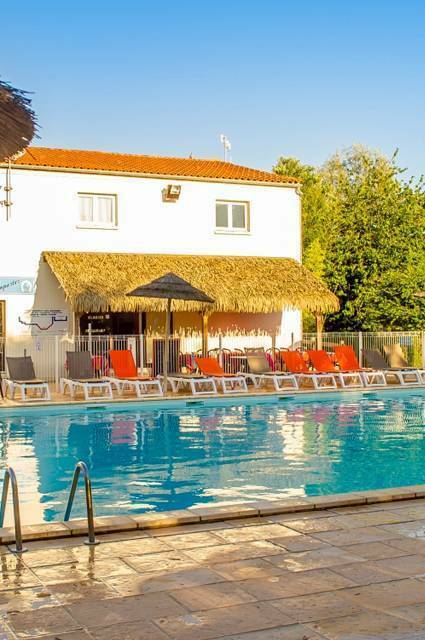 Equipped with this precious sesame, you can finally enjoy our magnificent swimming pool, heated to 28°C, to relax, play sports and spend pleasant moments camping under the Oleron sun. 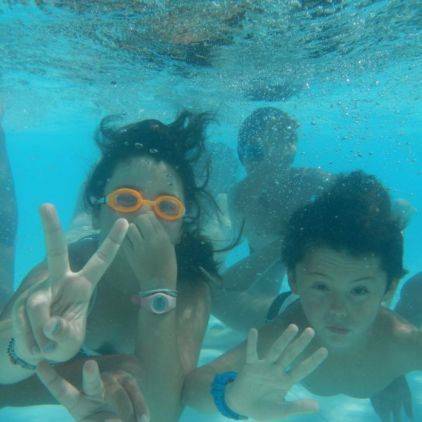 With our instructors, participate in aquagym sessions, let your teenagers train you in a water polo game, have fun with your family during pool games or book a swimming lesson to learn how to swim your children. 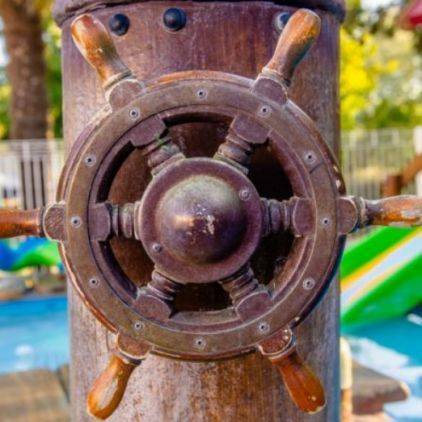 More like straw hat and sunscreen? 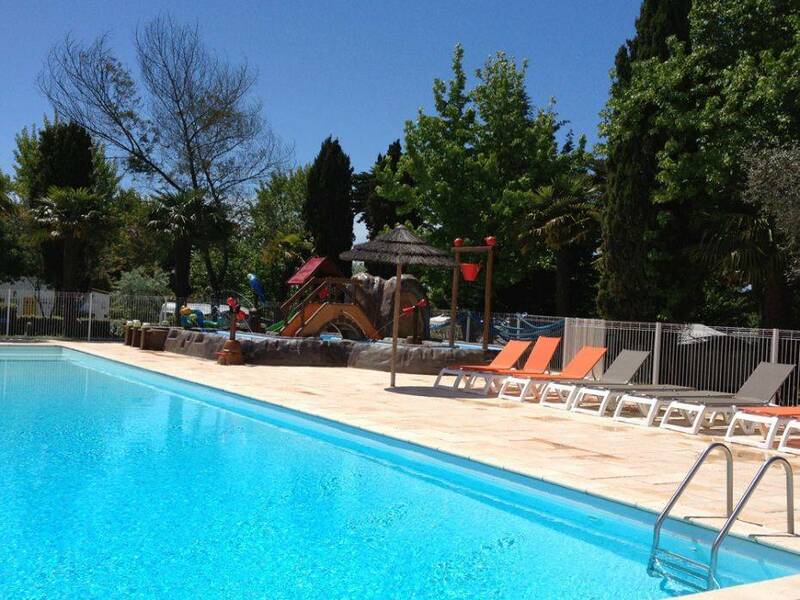 Lie down on a deckchair, in the sun or in the shade, to talk, read, listen to music or sunbathe. 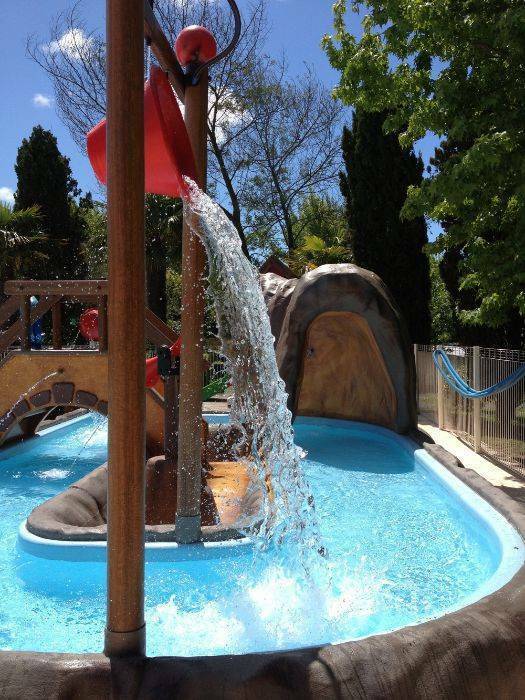 What could be better than an aquatic area entirely dedicated to children? 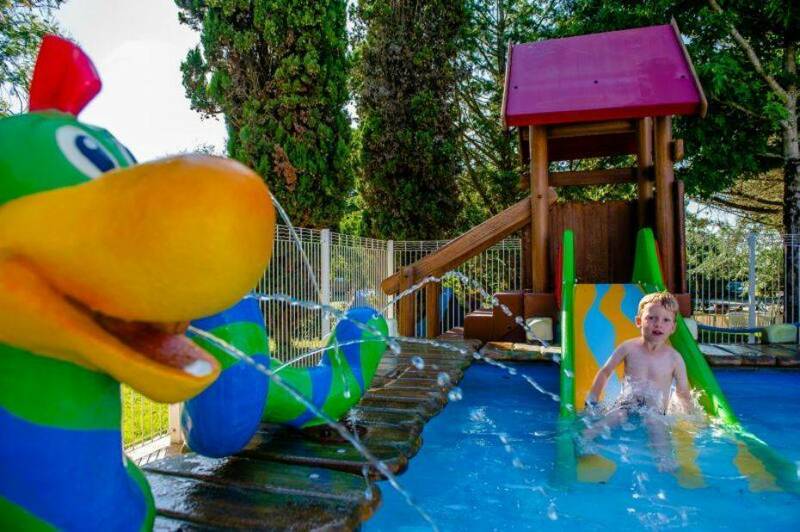 More fun than a classic paddling pool, the playful river with its water games, slide and water jets is a delight for children and especially toddlers. 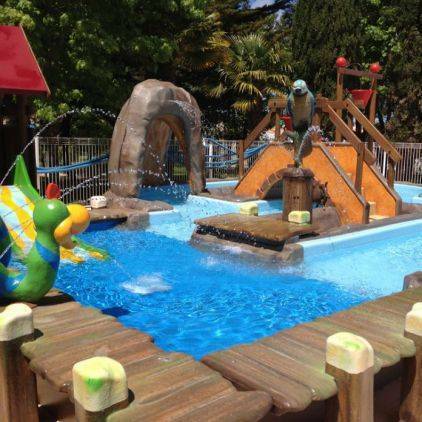 The aquatic river is reserved for children under 10 years of age. 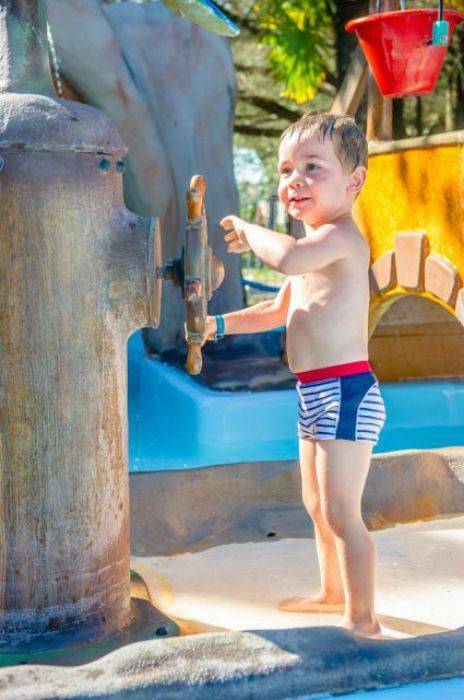 Your little ones will be able to play safely in shallow water heated to the ideal temperature. 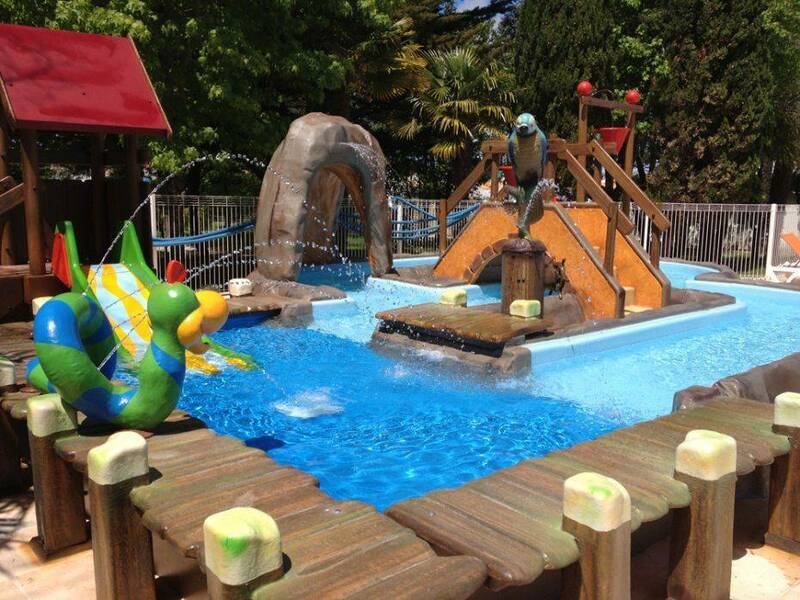 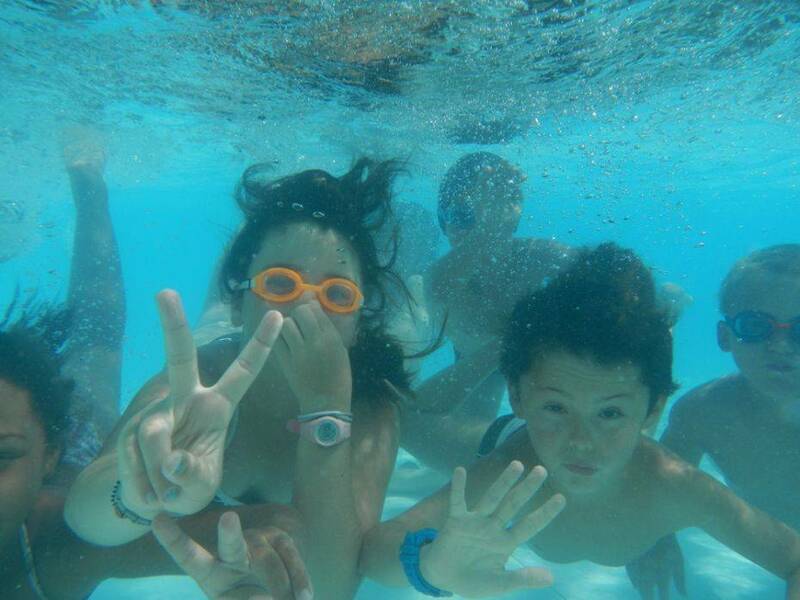 - The aquatic area is open from April 1st to September 30th. 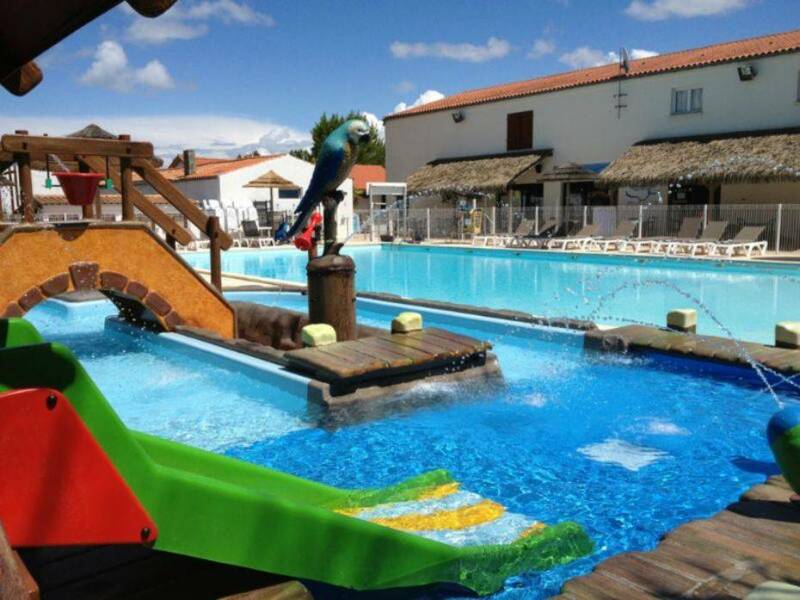 - A qualified lifeguard is present every day in July and August. 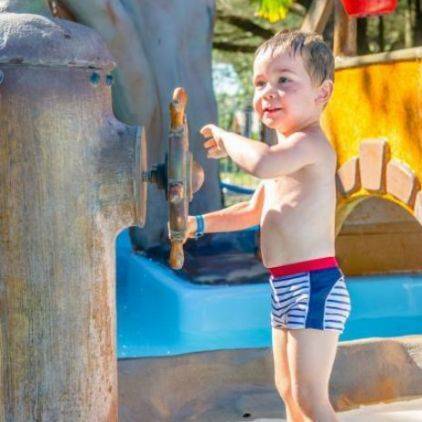 - For men, we sell swimwear for those who have only worn shorts.